The people, forces and evil behind the Federation of Magic. Hidden magical cities, dangerous clans and faction, the City of Dweomer and tons of adventure ideas. Overview & history of the Federation of Magic™. 8 new magic O.C.C.s including the Conjurer, Grey Seers, the Mystic Knight, and the Magi. The Lords of Magic and the City of Dweomer (with more detail than ever). Special magic powers and abilities. Magi Automatons, Techno-Wizard weapons and vehicles. Alistair Dunscon and the "True" Federation of Magic. 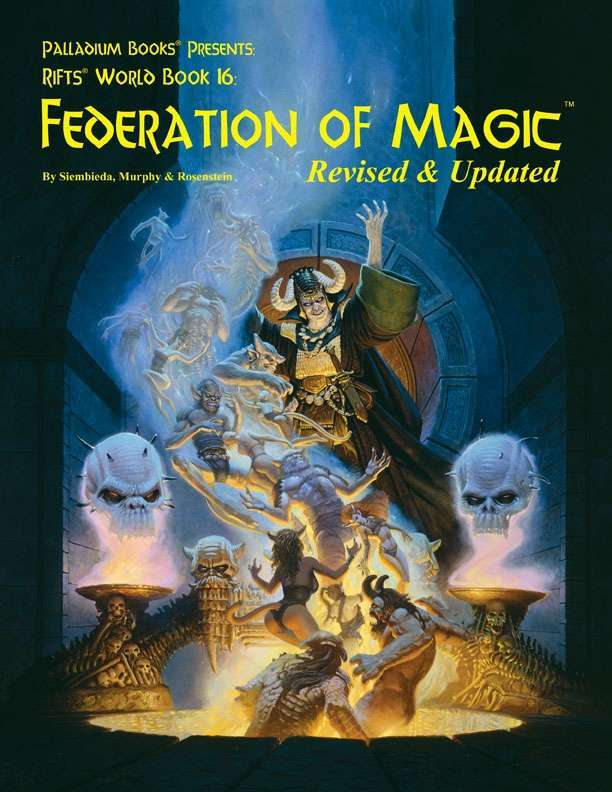 The history and overview of the Federation of Magic. Notable places, territories, leaders, and world information.